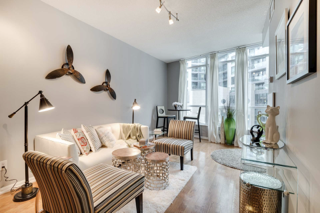 231 Fort York, a condo in Downtown Toronto, was staged to sell for a high ROI, via Toronto’s condo stagers, Design to Impress! 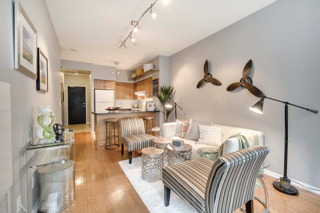 The home stagers prepared a unit at 231 Fort York, a 700 sq ft Downtown Toronto condo, after it remained on the market for three months without an offer. The apartment came across as baron, and didn’t hold any unique aspects, as it looked like other apartments in the area. 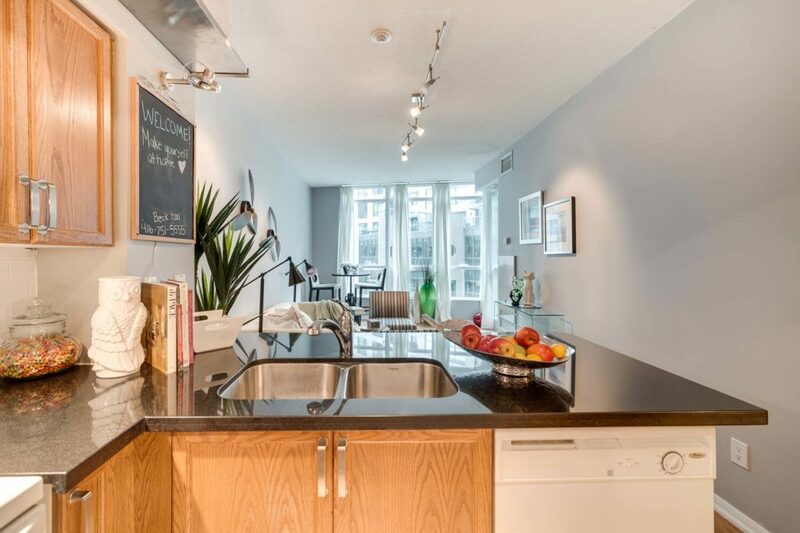 Potential buyers found it hard to visualize themselves living in this somewhat small unit. 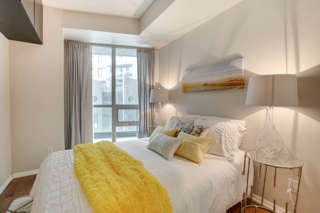 Our home stagers prepared the unit with new furniture, colourful artwork and accessories. 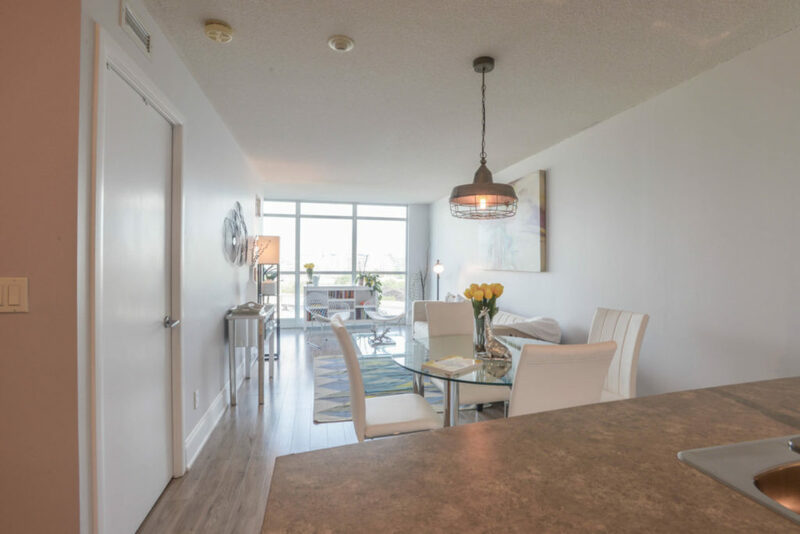 We added tables and chairs to the dining room area, sofas and a TV in the living area, and beds to the two bedrooms. 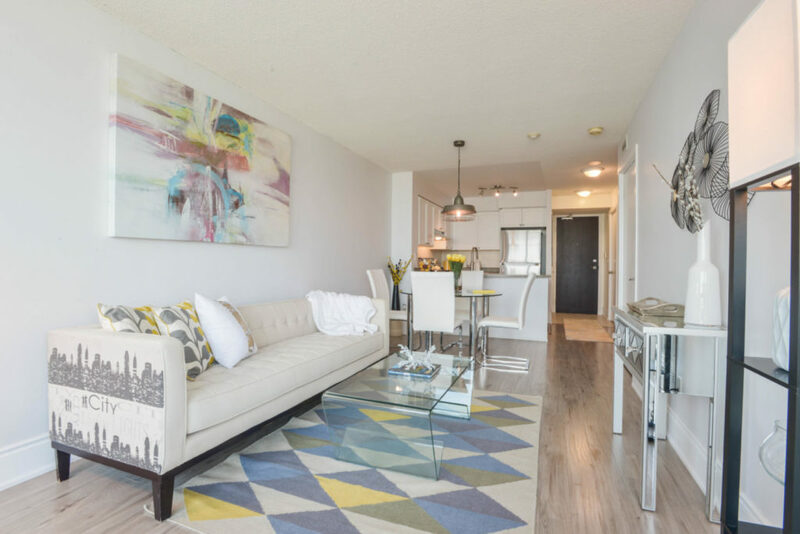 We further defined the living room with an area rug, so buyers could see themselves relaxing at home. The dining room area was decorated with accessories on the table, where the buyers could see themselves eating at after long day at work. In the bedroom, end tables book-ended the queen-sized bed, and in the bathroom, a fresh shower curtain and spa-like soaps made it look more presentable. 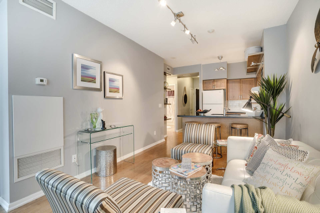 After the condo staging, bachelors and new couples found themselves making offers for the small apartment. 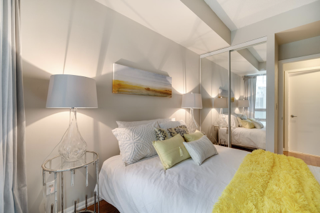 Our home staging process let potential buyers visualize themselves having a life in the modernized unit. 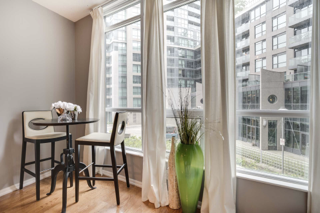 231 Fort York sold for above asking price, with a return on the home staging investment in less than three weeks, via Design to Impress, Toronto’s home staging company.